If you’ve been following the saga that is the development (and re-development) of The Culling, you’ll know that things are already getting complicated. Having released their game, followed it up with a sequel, canned that sequel, and then rolled the first game back to its original state, you’d thing developers Xaviant would be about ready to settle in on their project. You’d be wrong. 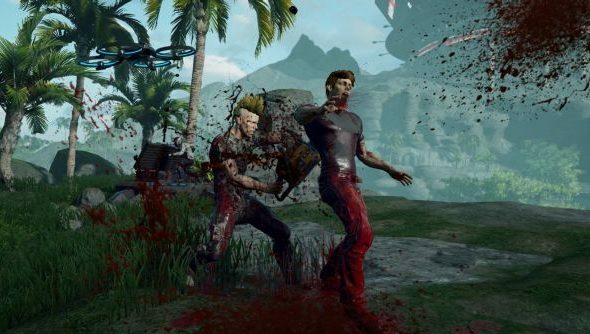 In a dev diary published over the weekend, producer Joshua Van Veld announced The Culling Origins. Origins will exist alongside the game’s day one reference servers, functioning as a remaster of the original release. To clarify, Xaviant seem to be remastering the early access build of the game to include the new bug fixes, essentially rebuilding the game from the foundations while allowing those players who want it access to the reference servers. It’s a complex story, but seems like it could be the best way forward for the game in the wake of the rapid cancellation of The Culling 2. Some changes will rebuild parts of the original game, while other aspects, particularly combat, “will mimic day one extremely closely.” You can check out Van Veld’s message in the video above, in which he also promises that the team will be more open with the community in future.